Blip.fm is internet radio made social. It's easy to search for, play, and discover free music recommended by real people. Join today to create your own free station and start listening to @BlissinkRadio1. BlissinkRadio1 give some to the drummer! 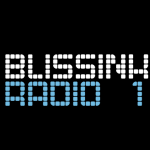 BlissinkRadio1 ride and ride and ride and ride, etc. BlissinkRadio1 i give to you and you turn away…next! BlissinkRadio1 this one rocks the shudders every time!